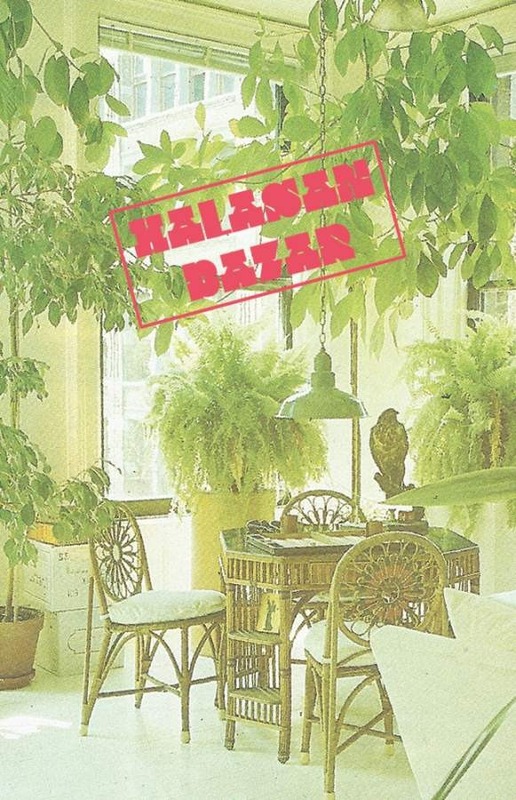 Copenhagen psychedelic-pop band, Halasan Bazar, released their cassette How To Be Ever Happy on Moon Glyph, Monday. The band is also offering up two new sprawling singles titled “Figure It Out” and “Mountaintops” to coincide with their release. “Figure It Out” is a hypnotic slow-cooked pop jam built over chamber vocal harmonies and a swirling guitar hook. The near six-minute track shines when it explodes into an ambitious finish that forcefully spins the hook’s hazier components into a tight and jubilant reprise. The band released a music video to accompany “Mountaintops” whose visuals are a reworking of the 1903 French silent film, La vie et la passion de Jésus, directed by Lucien Nonguet and Ferdinand Zecca. The film’s stylized nuances, such as its stencil colored pastels and lurching dramatic motions, reflect onto the song with a fitting sense of unreality and peculiarity, especially in light of the single’s dream-polished weariness. How To Be Ever Happy is now available on cassette via Moon Glyph or digitally at Halasan Bazar’s Bandcamp.